Will Erdogan rule for re-election in Istanbul? Turkey’s food price inflation unstoppable: It’s the production stupid! With bulk of the fertilisers, seeds and feed imported creating cost push pressures, and the selling price in lira terms, the spill over effects from Agri-PPI to consumer price inflation (CPI) is set to continue throughout 2019. Added the structural problems in the food chain beginning with the production side, Turkey desperately needs a brand new vision in the agribusiness sector which has been non-existent over the past decade. 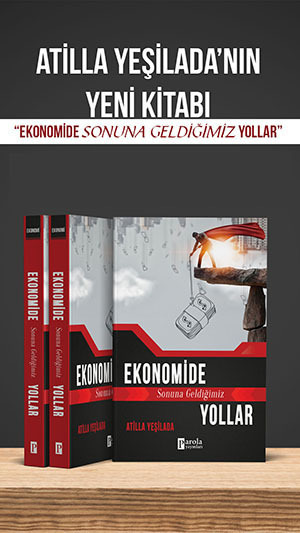 As Turkey's GDP is expected to contract by 2.5-3.0% in 2019, the deterioration in the employment sector will continue. Hence, the seasonally adjusted unemployment rate is likely to reach a sizeable 14.5% by year-end. “It’s not a real market…you don’t take the risk on TRY, or if you do it is just for one, two or maybe three days,” Credit Agricole analyst said, referring to Turkish authorities recent squeeze on lira short-sellers in the offshore market. NY Times Opinion: A U.S. Fighter Jet or a Russian Missile System. Not Both. Albayrak’s measures: First we take the banks! The critical point of course becomes the selection of companies to be transferred under the to-be-established funds; whether these companies would be the ones who were close to the government when investing “excessively” in the energy and construction sectors and whether the operation would be saving the state banks as well as those investors close to the government so that they could walk away freely from their debt piles.